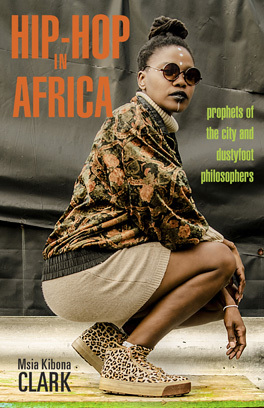 This was a fun conversation with hip hop organizer Fete Jen, a Queens, NY native who has traveled throughout Africa and is connected to multiple hip hop artists and scenes around the world. She started Lyricist Lounge Tanzania (LLT) in 2014, helping to provide a platform for poets, spoken word artists, and MCs in Dar es Salaam. LLT was distinct for several reasons, most notably, it brought together a diverse crowd of Tanzanians, African American & Caribbean expats living in Tanzania, and expats from other African countries living in Tanzania. A lot of this diversity was due to the diverse team that have organized the LL events. LLT is celebrating its fifth anniversary on the 23rdof March, in Dar es Salaam. The organizers have established a fundraiser to help with the costs of putting on the event and bringing in artists to perform. Through her networks with hip hop communities in the Diaspora and throughout Africa, Fete Jen has been involved in or helped to establish several hip hop based projects. In this call we talk about her experiences with the Tanzanian hip hop scene and starting Lyricist Lounge, her views profanity and the use of the N-word in hip hop, the increase in Blacks from the Diaspora moving to Africa, and relations on the continent between Africans and Blacks from the Diaspora. If you are listing to the podcast on a platform other than the blogsite, you can access some of the images from the evening’s event on our blogsite: hiphopafrican.com.